Marianne: That’s right, our friend Ryan Eldridge is just here. 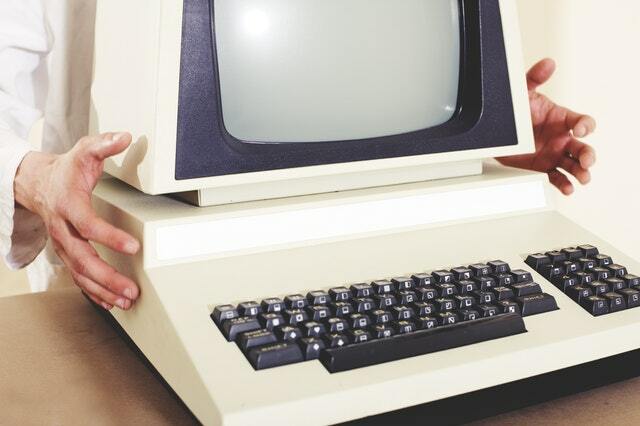 I have to tell you, technology is not the first thing I think of when it comes to de-stressing. I barely know how to use my iPhone. Marianne: But you’ve found some great sites that actually can help a family, a crazy family like yours . . .
Marianne: . . . Build a little camaraderie with that. Ryan: Yes, I have a 6-year-old and a 3-year-old and it can get a little crazy in our house, and one of the first things that we notice is that our 6-year-old wants to help. Ryan: But a lot of times we’re like, “No, no, no, no, we don’t want you to break anything or whatever.” Here’s a great way. This is called My Job Chart, myjobchart.com, what you can do is create a login for each of your kids as well as yourself, and you can write out different tasks. And when you write out those tasks, you can assign different point values to them, and those point values can be used to trade in for different things. For example, you can go to amazon.com, and you can create a list of pre-approved items that you think are okay. Once your kids earned enough points to earn one of these items, they click it and it’s shipped automatically. Marianne: Oh, look at that. So, The Lion, the Witch and the Wardrobe, maybe a little pillow pet there, a little stuffed animal, what a great idea. Ryan: This way you don’t have to haul up to Target every time they win something, they don’t have to worry about, “Come on, mum, let’s go.” It automatically shows up at the house and they get their own little packages, with their name on it that they think is the coolest thing ever. Ryan: Here’s another thing that’s in our house. Organizing is really tough. So we’ve got school events, work events, my wife might have something special that she’s doing. Here’s one place where you can put it all. It’s called kozi.com, K-O-Z-I dot com. It’s a shared calendar. So that way when I’ve got something going on at work, I can quickly update the calendar and she’ll see it, or there’s a new school event that’s happening, we can keep track of it. The other cool part is it’s also got a shared todo list, so for example if I want to buy something at the store, or I used that last piece of bread, I can update the list and everybody knows, “Hey, we need new bread” at the store. Ryan: And it’s also for keeping track of more activities. So here’s the last one. My son he’s six, so he has trouble focusing. His brain kinda wanders all over the place. Marianne: That’s being six. That’s six for you, right? Ryan: Yeah. So we’ve started teaching him how to meditate, so this is an online app called stopbreaththink.org. You can also get it for iOS and Android, but use it on the web. And what it does is that it works you through a 5-minute guided meditation, and so when you do it, you just click on it and it asks you, “How are you feeling today?” And then you can explain, “I’m feeling great or meh.” So if I’m feeling kind of meh, and then what it’ll do is it’ll say, “Well, how do you feel physically?” I feel kind of meh, there’s a sickness going around. If I can click it, there we go. And then you can add different emotions about how you feel. Ryan: And then what it’ll do is that it’ll tell you the kind of meditation you should do. So, it’ll kinda focus you in, it will say, “Well, you’re on a mountain-top and imagine the big blue sky, imagine your problems going away.” And that focus really helps them when you’re assigning them tasks or they’re just trying to get their homework done. Marianne: Mel, I think it can be good for your family, I think maybe the Zen one, the meditation one. Mel: Yeah right. He said, “That one’s for the kids.” I’m like I need that. I need that. Marianne: Mum and Dad could probably use that as well. Ryan: Yeah, you know my wife uses it, and I use it. We’re a meditation kind of family, because we’re trying to stay focus and trying to keep the monkey-mind from taking over. Marianne: Well, the world has gone insane as we know, and so anything that will help kids especially if they’re on the iPad all the time, or on their phone, it’s helpful that they can find these tools to help them check in, and how they’re feeling and also getting all their stuff done. Great ideas, we’re going to link of course Nerds On Call to our website and the websites Ryan told us about, to gooddaysacremento.com, click Show info there, at the top of the page, and then today’s date. Good to see you as always. Ryan: Good to see you. Marianne: Thanks so much. Mel. Mel: Oh, I was already taking notes. So great, all right . . . While our modern, technology-filled lives are certainly more convenient, they can also be deeply stressful. The stress hits the whole family, too. Work life seems to seep into every corner of many adult lives but add to that the additional struggles kids face in navigating an increasingly technology-mediated world and you have a cocktail for very anxious and irritable families. 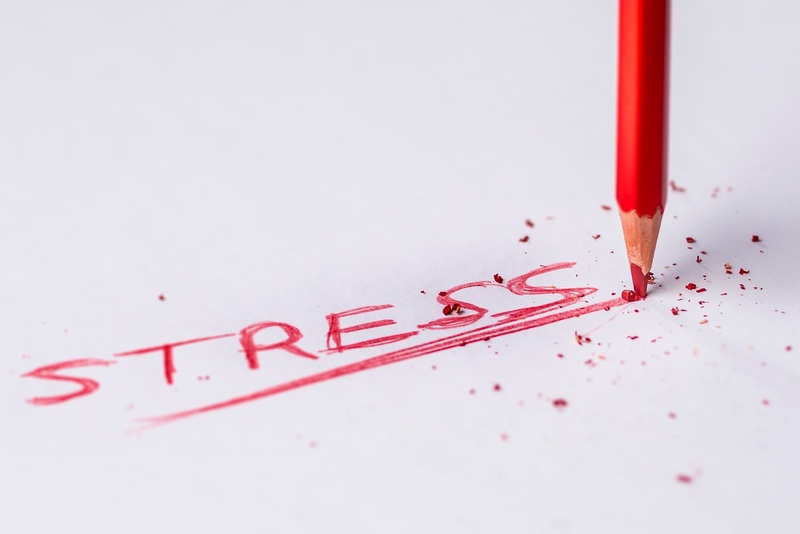 The simple (and kind of depressing) fact is, dealing with stress is a struggle on many fronts. It affects the whole family, and the occasional candy bar or vacation isn’t likely to make much of a dent. What most families need is a plan for bringing some calm back into family life. So here’s the good news. 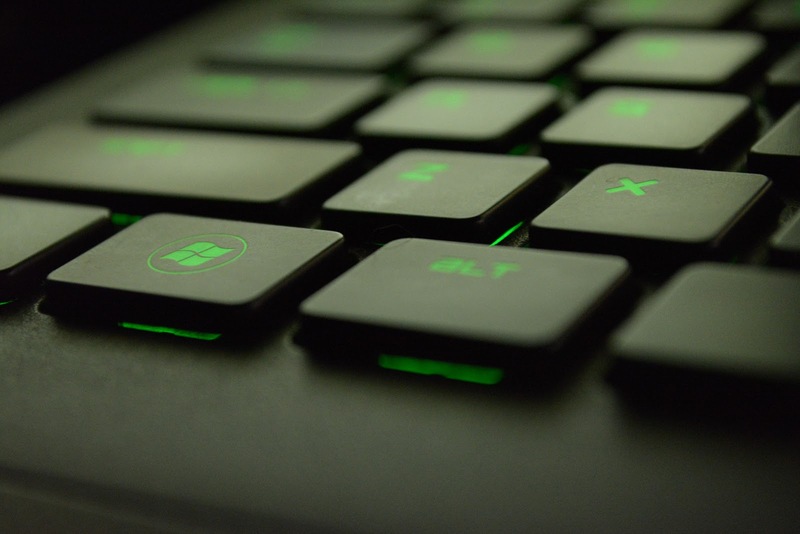 Technology can actually be a powerful tool in helping your whole family alleviate some of that stress. Here are a few of our favorites. The beauty of this app is it directly targets what may be two of the biggest household stresses: money and who does what. Especially if you have multiple kids and a lot of activity going on, chore allocation has to be one of the biggest argument-inducing points of contention in the household. “But it’s his turn!” has to be the recurring refrain in a lot of homes out there. Allowances and Chores Bot eliminates all debate as to whose turn it is because a handy (and weirdly likable) blue robot is there to tell everyone definitively who should be doing what. A (really kinda brilliant) psychological bonus of this app is that it isn’t the parents delivering the bad news. It’s that flinging flanging robot with his infuriating perfect memory! Gah! 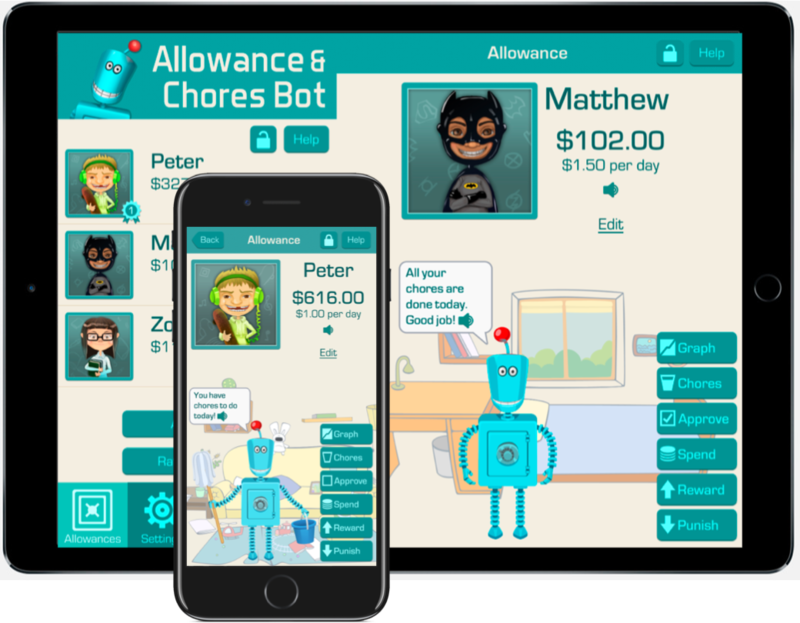 The app also elegantly connects those chores with allowance. While this may not be every parent’s cup of tea, for those pursuing the “chores = allowance” model of child remuneration, this app very neatly reinforces the connection, allowing kids to watch their savings grow with each household activity successfully performed. Fancy. Cozi Family Calendar – Free! So, with chores and money out the way, let’s talk about the third major stress to plague every busy family: time. 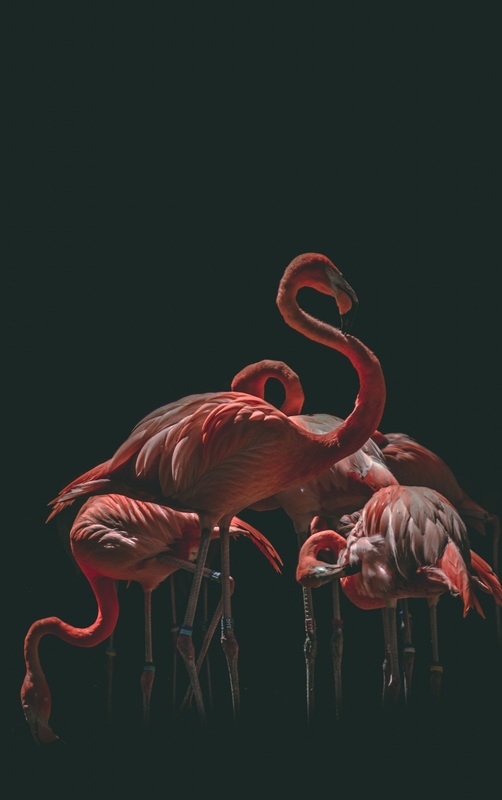 Time is harder to manage than a flamboyance of flamingos at a Pink concert. The key to keeping your head above water is having a decent calendar which is just feature-rich enough to handle the tidal wave of work functions, appointments and school activities, yet which is no more complicated than strictly necessary. That’s a tough balance right there. The Cozi Family Calendar provides that magical confluence of features and simplicity. 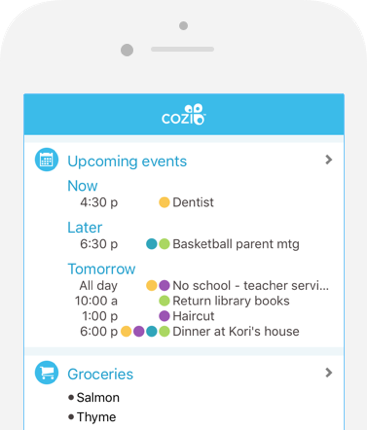 This handy dandy app allows families to create a shared calendar that every member of the family can see. The calendar can be viewed through the website or app, or (if you’re a tad more old school) can even be printed into neat summaries you can stick on your fridge. Reminders, recurring events, color coding, and multiple views are all easy to access and build into your day to day routine. It’s a thing of beauty and can save your family many a “you never told me that was happening on Tuesday” discussion. We especially love the versatility of this thing — both in how you enter the data and how you can view it. A lot of work has gone into making Cozi as user-friendly and stress-free as possible. Stop, Breathe, and Think App – Free! OK, so let’s be real here. Even with the best money, chore and time management systems out there, sometimes stress just happens in families. Stress is simply an inevitability when you place we ornery humans under one roof together. When the stress fairy visits your home, sometimes the best thing you can do is to stop, breathe and think. And in a most excellent turn of fate, there’s an app built precisely for that purpose. The logic of this app is built around simple mindful meditation techniques. It encourages the idea that each day, everyone should find a moment to stop what they’re doing, create some space between their emotions and reactions and think about how they might broaden their perspective. While all those introspective processes might sound a bit adult-oriented, this app finds simple, impactful ways to make those concepts workable for kids too. The Stop, Breathe, and Think App offers a simple process of identifying your feelings, then gives users a five minute guided meditation tailored to the current state of mind. The app offers a child-friendly interface so that even the most high-strung kids can sit still for a few minutes and hopefully grab a few chunks of that delicious inner peace. The cool thing about Stop, Breathe, and Think is that it isn’t about stuff to do, places to be or times you need to get there. It’s about self. It’s about processing life. We reckon almost everyone can benefit from a bit more of that in our lives. Nothing will bring a family’s mood down quicker than constant stress. It’s bad for people as individuals and it’s bad for families as a collective too. Why not try some of these apps to reclaim a much-needed bit of calm? Ommmmmm.